Synopsis:Strange things are happening in Skeleton Creek...and Ryan and Sarah are trying to find out why. Ryan writes down everything in his journal, and Sarah records everything on her videocam. 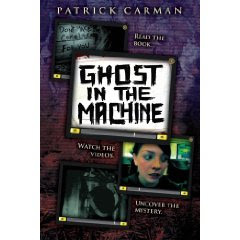 The two move deeper into the mystery they've uncovered, determined to discover the secrets buried in Skeleton Creek, in the conclusion to Patrick Carman's thrilling series.